Photography business opportunities and trends are providing some terrific options for starting your own business. If you love being around a camera and can produce some interesting shots, this may provide you with the potential to start your own business and earn income from your work. There are a variety of different ways to get started -- work directly with your clients, shoot landscapes or travel shots for magazines or online e-zines, taking pictures of products for advertisements, and/or stage some terrific pictures to provide directly to online stock photo companies who sell on your behalf. Before starting your business, you'll want to determine what types of photography you'll want to specialize in and who your end user will be -- this will help you to develop your business proforma and marketing plan. One of the major trends in photography business opportunities is individuals entering the industry who are “in the moment” photographers with cameras which are good (but not necessarily expensive commercial cameras). Photographers who are able to capture an “in the moment” photo which tells the story of an event or occasion should start a photography business. We’re seeing this on the internet, Facebook, and YouTube as more and more recreational photography goes viral. One of the photography business opportunities is the fact that the camera technology is fascinating and rapidly changing (for the better) almost daily with a variety of new updated features along with lower priced hardware. There are on-line services (internet based storage, editing software, etc. ), less demand for hard copy prints, more demand for online photos, and companies are now beginning to purchase images from online libraries vs. hiring a professional photographer for their marketing photos. We’re also seeing the large volume of smartphones and tablets create more demand for online photos than ever before -- this trend will more than likely increase as consumers continue to purchase these devices. Once we have a terrific “soft” photo, we love to put it on merchandise – there is a wide range of items we use to display our photos including calendars, mugs, shirts, and of course digital frames. If we want the print, we can crop and enhance the photo to make the best quality print available. And these merchandising opportunities provide some additional business ideas for women and men alike. With the advent of the internet and social media, we’re now seeing less photography portraying the past and more video and interactive photos utilizing social media and interaction providing present or “real time” shots as an event unfolds. When starting a photography business, keep this trend in mind and provide photos of an event as it happens through an online site for customers, fans, and followers who are unable to attend the event in person? Get your clients involved in your photography business early by allowing them to make suggestions about the type of photos they’re wanting from you. Planning for photos over a longer period (the 1st year of baby or puppy) and/or multiple upcoming events will allow you to plan ahead and follow-up with your customers on a regular bsis. When starting a photography business, ask your customers in advance, how they intend to use the photos you produce (online, Facebook, marketing, family/friends, etc.) to get a good feel for the best pictures to tell their story. Offer Additional Goods/Services Along With Your Photos – Expand your photography business opportunities by providing your clients the ability to get merchandise with their photos, providing online albums or photo storage, and other services. This is a value-added approach for your customers by offering package deals to get and keep your customers happy and coming back with repeat business. Minimal Cost – Minimal start-up funds are required to start your home photography business if you already have good quality equipment. The variety of good business ideas can be started with a relatively small equipment investment. With the digital cameras there is not as much investment in dark rooms, processing, and paper supplies as in the past. Minimize Business Risk – minimal start-up costs help to reduce the financial risk associated with the business. Define Your Unique Business Approach – as with any business, you'll want to be ready to identify your specific unique photography business opportunities and approach (or niche). There will be competition and you’ll need to justify why you should be hired for the work instead of someone else. 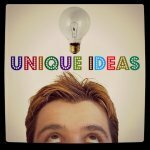 Look for added-value and complementary services to help you market your own business ideas. Make the Industry Changes Work For Your Business – capture business ideas which work with the industry trends of digital photography, social media, smartphones/tablets, and a variety of online services (both in support of your business and client services). Start a photography business that highlights your use of current technologies and services for your clients. Fewer Opportunities to Sell Prints – as you start a photography business, be aware your customers are less likely to make a great investment in purchasing your high quality prints . Obviously, there will continue to be a market for framed prints for homes/office décor, but this market is shrinking as more consumers look for their photographs to be stored on-line vs. print and use them on more merchandise than in your framed creations. 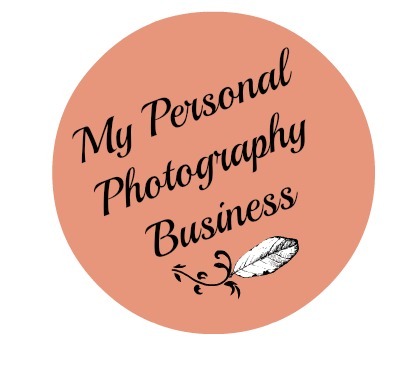 Be Professional – when you start a photography business, set yourself apart by making sure you are treating your business professionally including providing outstanding customer service, keeping appointments, and following-up with your customers on a regular basis. This will help set you apart from amateur “weekend” photographers who are out for an outing and take a couple of good “in the moment” pictures for their Facebook pages. Photography Business Opportunities Back to Online Business Ideas . . .